Katalon Studio preferred Recording utility is enhanced to support both iOS and Android to cover mobile platforms. Test objects and actions will be stored and generated as test cases that can be edited using manual/scripting interfaces. The function UI is identical to web recording to help users get started quickly. For example, the desired properties for the test object can be declared in the manual mode even without recording & spying the AUT. 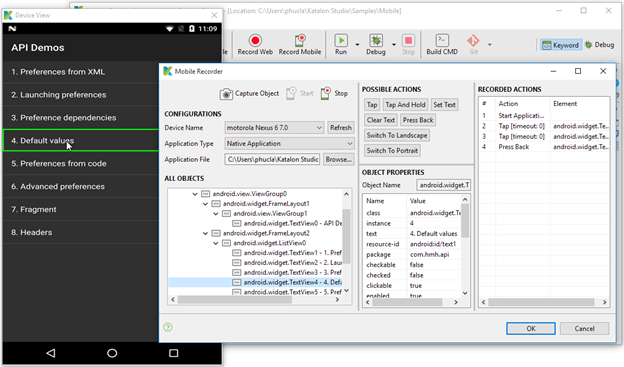 These properties will be used by Katalon Studio to identify the test object during execution dynamically. Users can leverage the declared properties further by using Katalon Studio scripting mode and adjust how the value of the properties to be perceived. 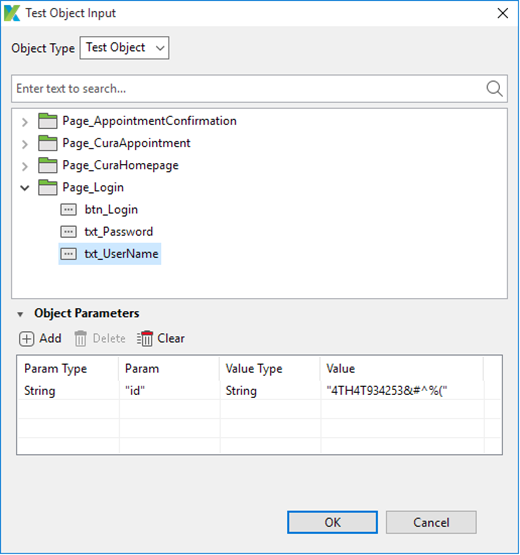 (Typically, users will want to pass property value as variable or make reference to datafiles according to their situation - Refer to Parameterizing Test Object for more details). 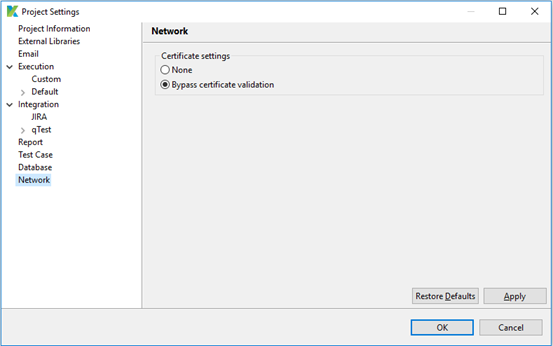 Version 4.6 introduces the capability to bypass certificate validation supporting users with restricted network policy to work with Katalon Studio as usual. This setting can be found at: Project > Settings > Network and it affects both WebUI and WebService testing. 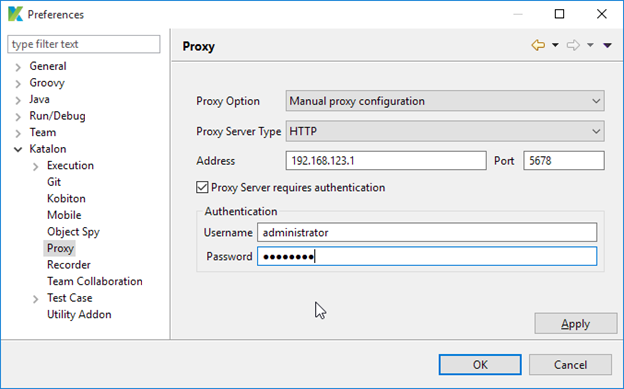 Proxy setup can be configured at: Preferences > Proxy. The setting affects both WebUI and WebService testing. Wait for Angular/AJAX to load within the given time in second unit. 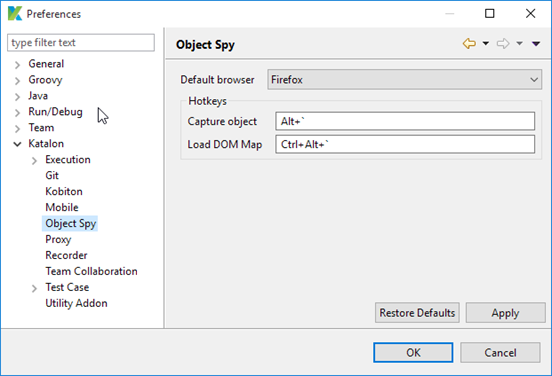 Similar to the Take Screenshot keywords, this improvement allows users to specify location for screenshots taken by Take Screenshot keywords. Captured screenshot saved to user-defined path. The default location will be used without user-defined value. Record & Playback for Mobile rock! Permalink Submitted by Lan Vu on July 3, 2017 - 11:12.